Courtesy- Foil Vedanta, June 7, 2016. 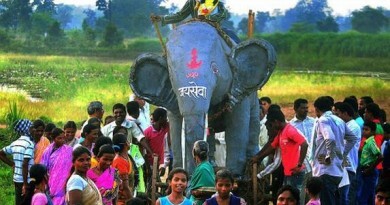 While one procession started from Biswanathpur under the block, the other started from Chatikana. The rally that started from Biswanathpur was led by General Secretary of Samajwadi Jan Parishad, Lingaraj Azad. 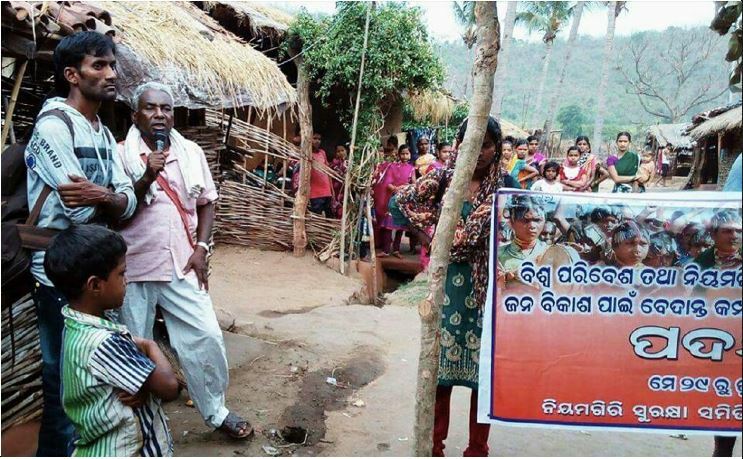 Another rally that started from Chatikana was led by Satya Mahar, a senior member of the Niyamgiri Suraksha Samiti. The rallies will cover areas like Kurli, Khambesi, Kunakadu, Lakapadar, Lamba, Dangamati, Tadijhola and Palberi. 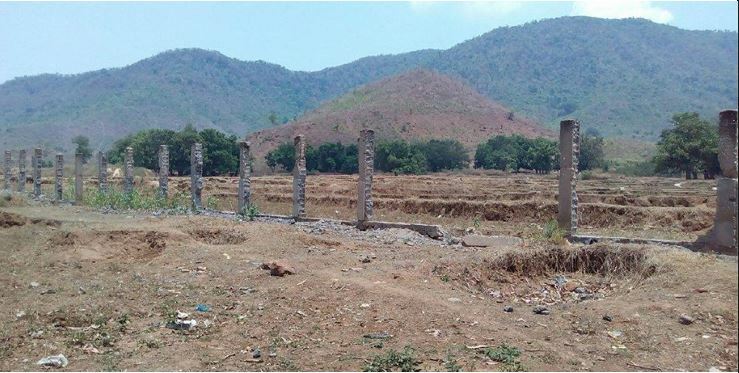 These villages include the twelve which were chosen by the State government to vote in referendums in 2013 on whether Niyamgiri should be mined, and where it was unanimously rejectedin scenes that turned these remote hamlets into a global stage filled with press and armed police. 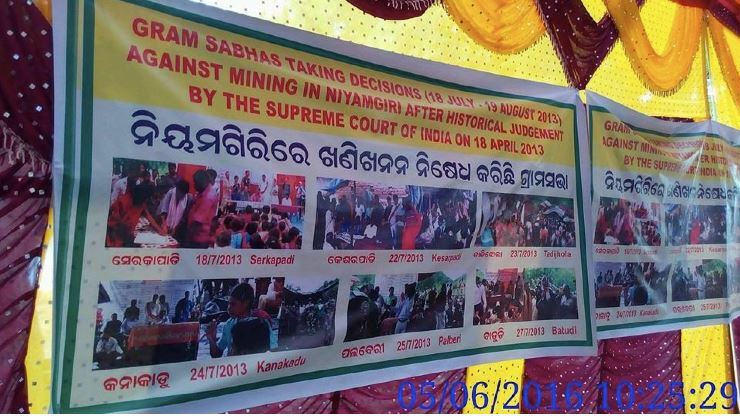 In 2013 a previous major padyatra had made villages aware of the upcoming precedent palli sabhas(village referendums) on whether the mountain should be mined for bauxite. 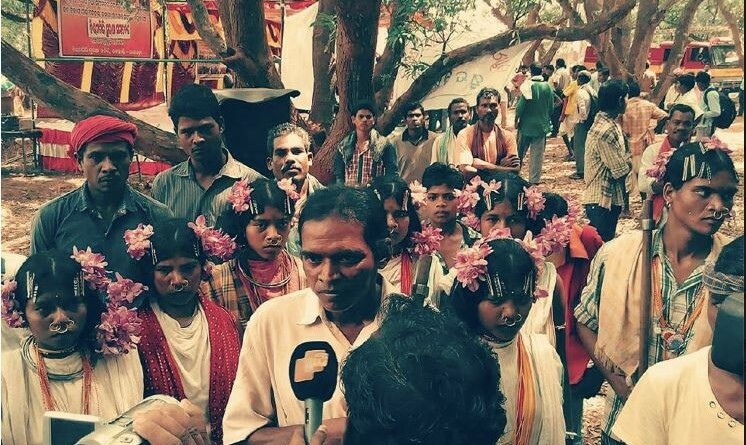 On day two of the march Kshetramohan Pradhani, a ‘land looser’ from Gopinathpur who lost his land to Vedanta’s railway, electric and water pipeline complained that he has neither been paid for the lost land nor fulfilled with the promise of a job in the company. Whenever he raises the question, the police picks him up and detains illegally for several days in false cases. 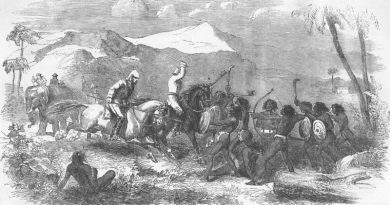 “We have been beaten by contractor Ajit Das of Vedanta, who beat Madhaba Pradhani, a fellow land looser was almost killed by him”, he said. 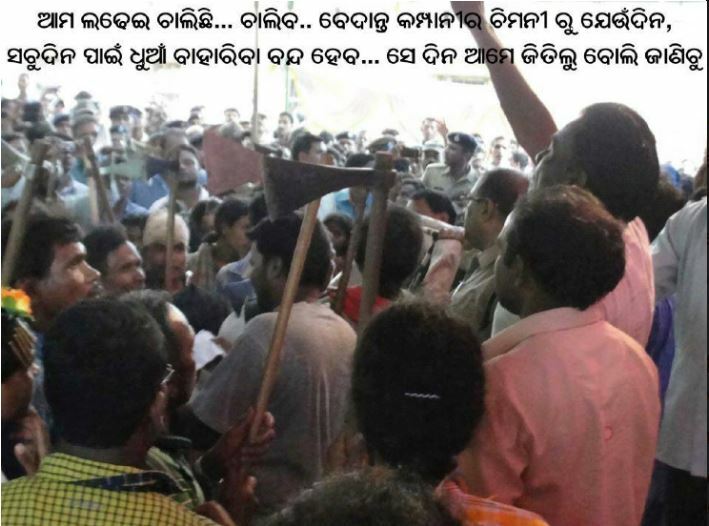 The Odisha Sun Times reported participants shouting slogans against Vedanta and oppression by the police working as agents of the company. “We will continue our struggle for the protection of Niyam Raja. We will rather sacrifice our lives than allow mining in Niyamgiri. We will continue our struggle till Vedanta moves out from here,” said Dongria Kondh participant in the rally. 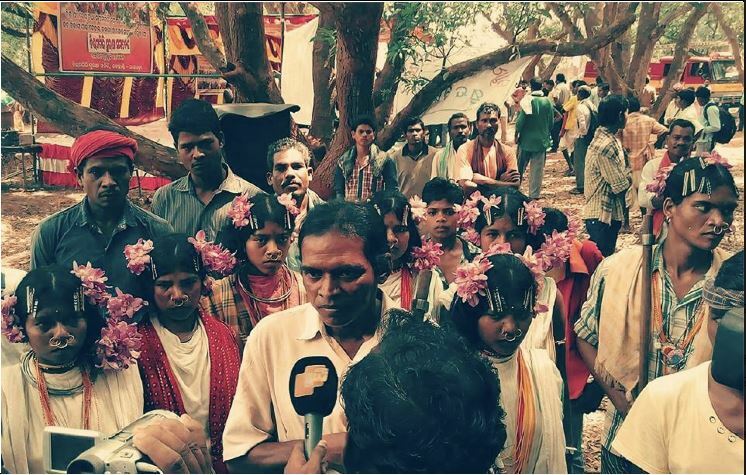 On day five villagers in Basantpada, Kotdwar, Dengasargi and Bandhaguda near Jagannathpur (Lanjigarh) exposed the atrocious corporate social responsibility record of Vedanta, testifying that they have also lost their land but never received jobs or replacement land. They celebrated the breaking of a wall built by Vedanta which had blocked access to their village for more than ten years, and declared that they are finally building a road to their village. 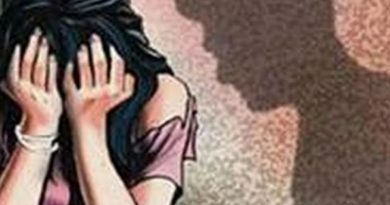 The NSS said as long as Vedanta Group continued to operate alumina refinery at Lanjigarh, the police would target innocent tribal youths by branding them as Naxalites to break the unity. 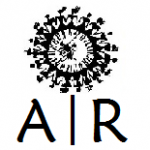 “We demand the refinery complex of Vedanta Group at Lanjigarh, which does not have law material source and is operating in violation of environment norms, be shut down,” said Lingaraj Azad of the NSS.